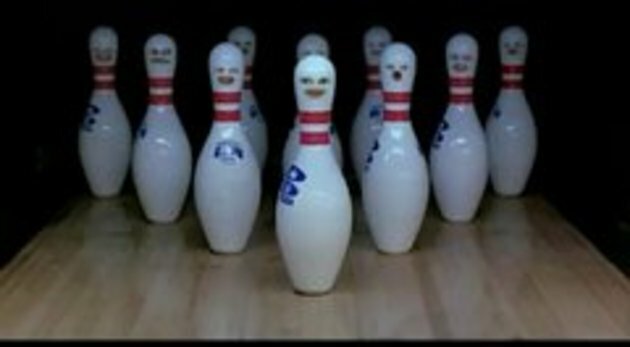 This shows you how bowling is sadistisc and not to mention cruel, but really fun and enjoyable. Strike 1, Strike 2, and... Strike 3. Hurray, you're out!!! at least i get to know how is it working inside the machine. Only the little freak going 'Wheeee!!' made it worth watching.